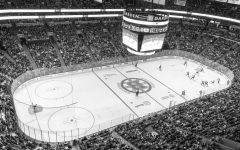 Four years have gone by for four Suffolk University men’s ice hockey seniors that competed in their last regular season game on Saturday. A ceremony filled with family and friends before the game honored Rams Jack Jenkins, J.B. Sweeney, Shayne Bailey and Sam Kent. 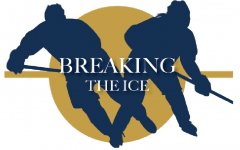 The seniors have seen a tremendous amount of change in the hockey program since they first crossed the blue line. Sweeney explained how during his freshman year, the Rams had no true home ice and had to migrate from rink-to-rink in the Boston area. 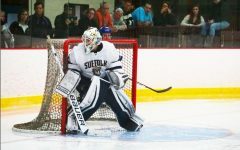 Since then, Suffolk has been gifted new equipment and a home locker room at Emmons Horrigan O’Neil Rink in Charleston. Suffolk finished out their regular season ending with a record of 9-12-3 and notching a total of 67 goals. 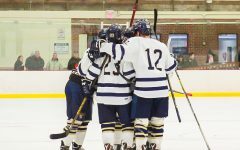 The Rams put up a convincing fight early in the season as they won their seventh straight home opener, skating past Assumption College 5-2. Standout freshman Matt Bucher held the game down, scoring the first tally of the game and his first collegiate goal. Later on he would add another unassisted goal to keep the Rams on top. What seemed to be an impressive start, skidded into a landslide of four straight losses for the Rams where their opponents outscored them 14-5. 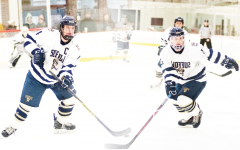 Suffolk would take this losing streak with a grain of salt coming back to win the following four games, even shutting out Western New England University 5-0. “It’s a little bit up and down in the win column, but we’ve got a great group of guys,” said Jenkins in a recent interview with The Journal. 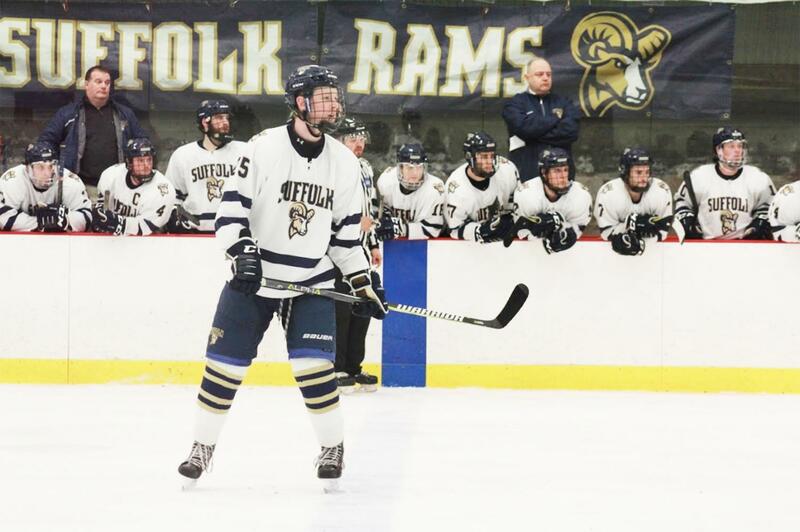 Jenkins, who is one of the team’s captains, has played in a total of 97 career games for Suffolk. He said that it feels like just yesterday he took the ice for the Rams for the first time. 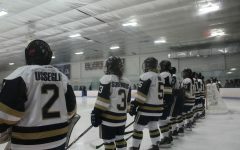 In their last regular season game the Rams found themselves in a hole, as they were down by three goals nine minutes into the second period. Four minutes later, freshman Joseph Mortillaro answered on the power play with Suffolk’s first goal of the night to make the game 3-1. 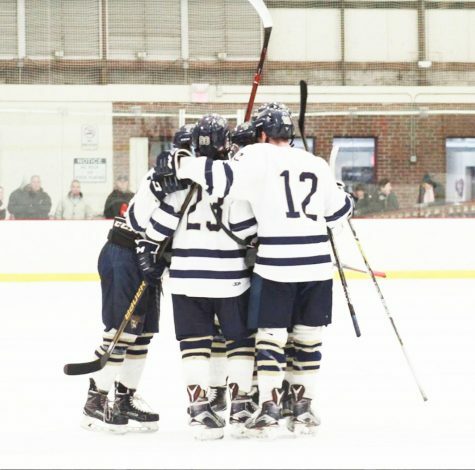 Sophomore Brian Brooks inched the Rams forward with a shorthanded goal two minutes later. Mortillaro brought the energy back to the Rams, tying the game. The Rams came out on top to win 6-3. 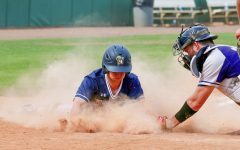 Another memorable moment for the Rams this season came out of their electrifying take-all win in the Manchester PAL Cup/Stovepipe Tournament hosted by Southern New Hampshire University. 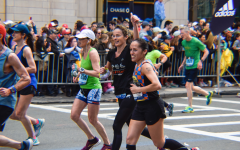 On the first day of the tournament, Suffolk ousted the University of Massachusetts Dartmouth 3-2 where Mortillaro scored two of the team’s goals. 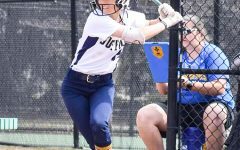 Suffolk will head to Endicott College this Saturday where they will fight to keep the seniors playing in the Commonwealth Coast Conference Quarterfinals. As the hockey season winds down, Sweeney reflected on how his hockey career has related to real life.